Artis Senior Living of West Shore comprises four neighborhoods, each with its own distinct character. This allows memory care residents to feel comfortable in familiar surroundings. Every neighborhood includes a family room, dining room, access to a private courtyard, as well as a kitchen where residents enjoy chef-prepared, family-style meals. Individual suites anchor each neighborhood. These comfortable and spacious living quarters can accommodate personal belongings and furniture from home. At the heart of the community, residents gather, learn, and create at the Town Center. 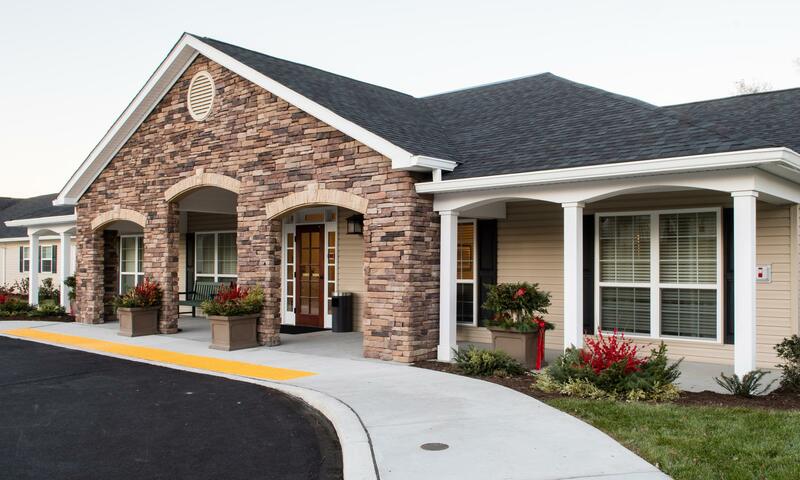 Artis Senior Living of West Shore offers exceptional memory care in Lemoyne, PA. When it comes to choosing a memory care community for your loved one, you deserve a partner who facilitates ongoing communication throughout the entire process. Positive Partnerships the Artis Way is the driving mission of our memory care community. We are passionately dedicated to the promotion of optimal wellbeing for residents through strong partnerships between care associates, families, and residents themselves. The care partners at Artis Senior Living of West Shore have decades of personal and professional experience in senior care. Our community was designed to provide residents with the comforts of home, as well as the opportunity to engage as a member of our community. At Artis Senior Living, we’re your partner in senior care. We’re passionate about upholding self-respect, dignity, and individual potential through open and ongoing communication. We believe in Positive Partnerships the Artis Way. To us, this means building sustaining relationships between care partners, families, and the residents themselves. We pioneered the Director of Partnership Development role in order to connect residents with the tailored care they need and deserve. Our mission helps residents feel empowered in their care, as well as in their daily lives. We encourage residents to join in community discussions and participate in volunteer programs through the Community Assistance Network. At our Lemoyne memory care community, we believe a family of partners fosters the dignity and fulfillment that everyone is due. Contact Artis Senior Living of West Shore to schedule a tour.